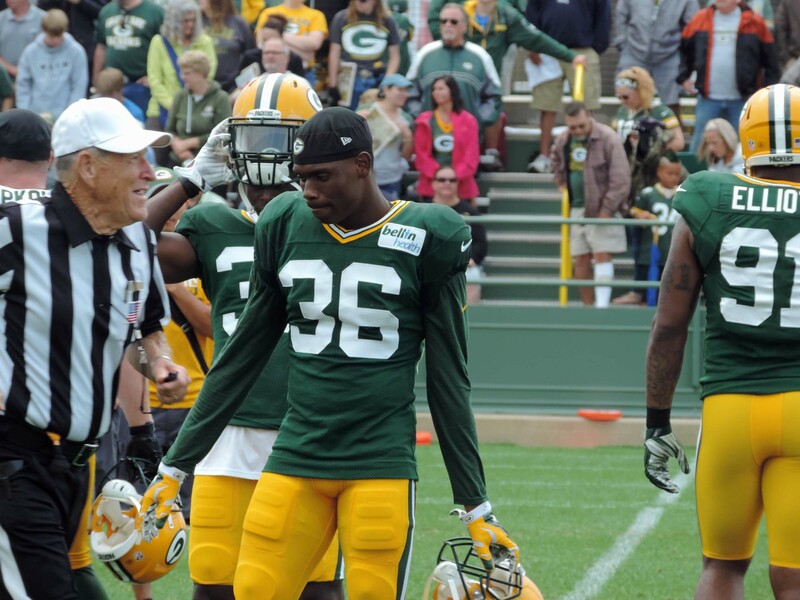 La Darius Gunter – released by the Packers on Tuesday. 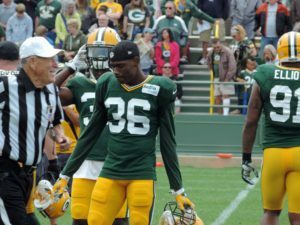 The Green Bay Packers released defensive back LaDarius Gunter on Tuesday, making room for wide receiver Geronimo Allison, who served his one-game suspension last week. Gunter rescued the Packers last season when Sam Shields was lost early with a concussion. But he struggled in the playoffs against two of the game’s top receivers, Dez Bryant (Dallas Cowboys) and Julio Jones (Atlanta Falcons). The Packers have also reportedly released defensive lineman Ricky Jean Francois. ESPN.com’s Rob Demovsky reported this morning that the Packers promoted guard/tackle Adam Pankey to the teams roster. Gunter originally made the Packers roster as an undrafted rookie out of Miami in 2015. Despite a lack of speed, Gunter got the job done in the Packers secondary. But Damarious Randall and Quinten Rollins are healthy this year and Gunter fell out of the rotation. Ricky Jean Francois signed with the Packers in the offseason but may have been expendable after the Packers signed Quinton Dial. With only one practice under his belt, Dial wasn’t active for last Sunday’s game against Seattle. But Dial should be ready to go this week when the Packers face the Falcons in Atlanta. The Green Bay Packers added more depth on their defensive line and they turned to the free agent market to do it. They signed former San Francisco 49ers defensive lineman Quinton Dial. The 6’5, 318 pound Dial is expected to be ready to practice with his new team today as the Packers return to work to get ready for Sunday’s game against Seattle at Lambeau Field. Dial becomes the seventh veteran free agent that general manager Ted Thompson has signed from another team this year. He joins another former 49er, Ahmad Brooks, who was just signed by the Packers this week. Dial was a 2013 fifth-round draft pick out of Alabama. The Packers released defensive tackle Christian Ringo to make room for Dial on the roster. He’s expected to back up starter Kenny Clark at nose tackle. The Packers will likely try to resign Ringo to their practice squad. Dial gives the Packers the depth they were looking for after they released veteran Letroy Guion.